News | Don Barber, 7 Others To Speak At Abuja Photo Festival. As Abuja Photo Festival 2017 draws closer, organizers have released a list of eight Speakers who will speak on different topics at the event. The annual event, scheduled to hold from the 12th to 16th September 2017 in Abuja, is one of the largest gathering of photographers in Africa and brings together the best and brightest of photography in Nigeria and beyond and is aimed to raise the bar of excellence in the practice of the art of photography, showcase the works of detailed efforts, create a cross border community of contemporaries and celebrate the upcoming, the best and legendary individuals amongst Nigerians and in Africa. Don Barber, a doyen of photography in Nigeria will speak on a topic “Building the Right Photography Practice and Practising Photography right.” He has over forty years experience in the photography industry has had works displayed across several international photo workshops and festival. Also to speak at the event include the 2004 Prize winner of Fuji African Photojournalist of the year award, George Osodi whose presentation will focus on “How to Communicate the African Story to a Global Audience.” He has covered several assignments for international media including the New York Times, Aljazeera, The Guardian and USA Today. His photographs have also been exhibited in museums across the globe. His works are Monarchs of Nigeria, Oil Boom Delta Burns, Driver’s Dexterity, Not a Witch and Several Others. Similarly, Novo Isioro, an ace documentary photographer will talk on “Swimming with the Sharks: A female photographer success plan in a male infested industry.” Currently serving as the Special Assistant on Visual Communication and Personal Photographer to the Vice-President, Professor Yemi Osinbanjo, Isioro’s works explore the deep relationship between herself and her immediate environment, largely influence by social issues and the need to emphasize reality. Other presenters include Big H. whose talk will dwell on “How to Distinguished Yourself in a Crowded Market Place”, and Yunusa Abdullahi on “The Science of an Image: How to Compose Yourself to Make a Lasting Statement.”. Also, Ikechi Ugwoeje’s presentation will be on “Passion and Profit: Where is the cross point?” while Ebiware Okiy will speak on “Portraiture and Wedding Photography: How to capture love in Pictures”. 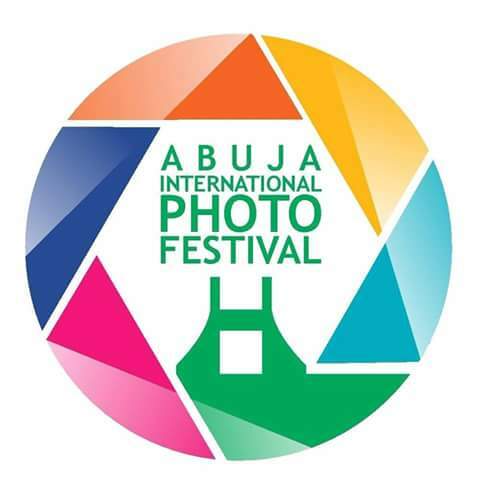 The Photo Festival, earlier publicized to hold at the Sheraton Hotel & Towers, has the venue changed to Thought Pyramid Art Gallery, located at Libreville street, off Aminu Kano crescent, Wuse 2, Abuja. “Thought Pyramid is a world class art centre and front line art hub in Abuja; and fits perfectly with everything photography represents. With google map and few calls, it should be difficult to locate especially if you are coming from outside Abuja.” Organizers say of the new venue. Here is a brief line up for each day. Day 1 (12th): Event Photo walk to Daki-Biu village,Jabi. To be led by Fanny Octavianus, the international photographer from Indonesia. Day 2 (13th): Official Opening Ceremony, unveiling of the Exhibition and Panelist Sessions. Day 3 (14th): 4 Master class sessions and all day exhibition. Day 4 (15th): 4 Master class sessions and all day exhibition.